Issey’s (@AnalogWrist) Hamilton Chronograph B reference 7723. 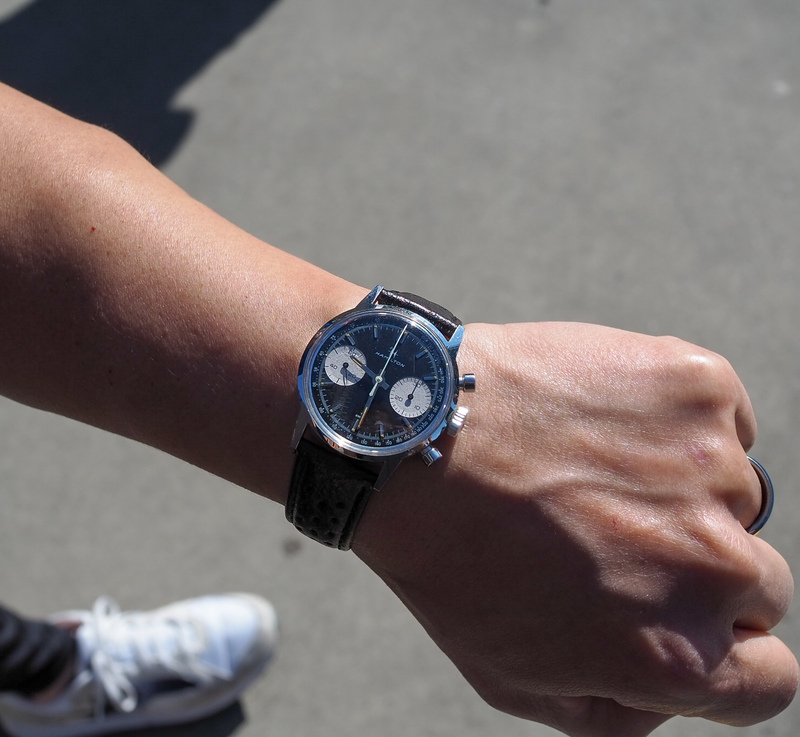 While out and about at Cars and Coffee, it was hard to miss this vintage piece on the wrist of Melbourne photographer Issey. Issey spent quite some time hunting this vintage Hamilton Chronograph B (ref 7723), before ultimately locating it interstate. Issey’s fantastic photography skills have overlapped into his passion for vintage automotive and watches, and we’re excited to see where it takes him. With a passion for vintage cars, a vintage chronograph makes perfect sense, and this isn’t the only one in his collection — nor is it the only one Issey’s got his eyes on. Now, I usually keep an eye out for nice watches when at car events, and lately I’ve noticed a pretty strong correlation between the two hobbies. Whether it’s new or vintage, there’s a strong connection between those who love watches and those who love cars. H’s Richard Mille – Roberto Mancini Flyback Chronograph. 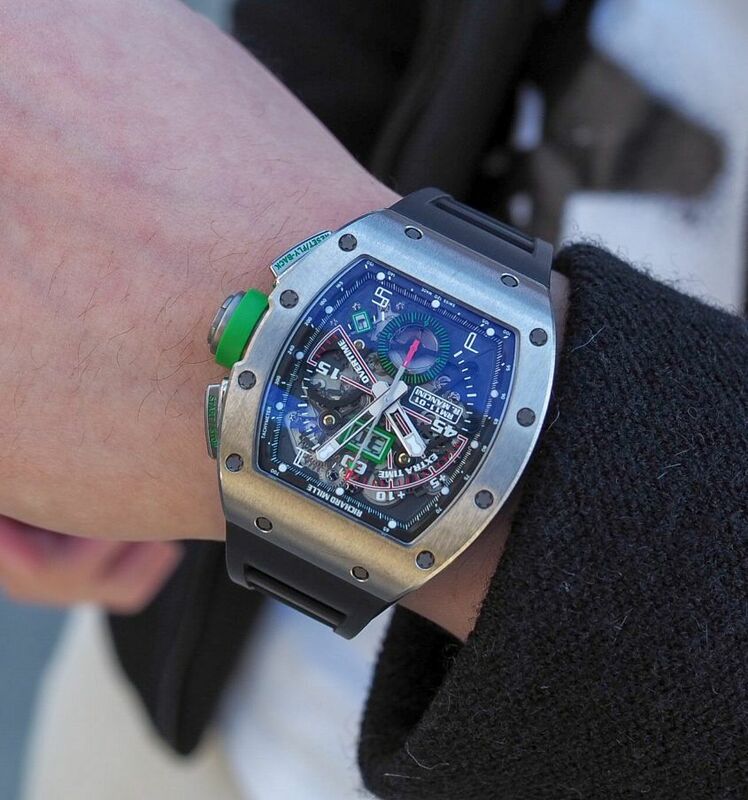 Speaking of modern pieces, this iconically shaped Richard Mille was also spotted at a car event (for those interested — Wilson Cars and Coffee). The popping touches of colour really stood out from across the way, and for obvious reasons (production volume, price, availability in Australia), it’s not often I spot a Richard Mille piece. So when I do, I make sure I say something! This RM 11-01 Automatic Flyback Chronograph ‘Roberto Mancini’ is a daily watch for this owner, and has been for a number of years. A grail-worthy Patek Philippe Nautilus Date Moon Phases 5712/1A. 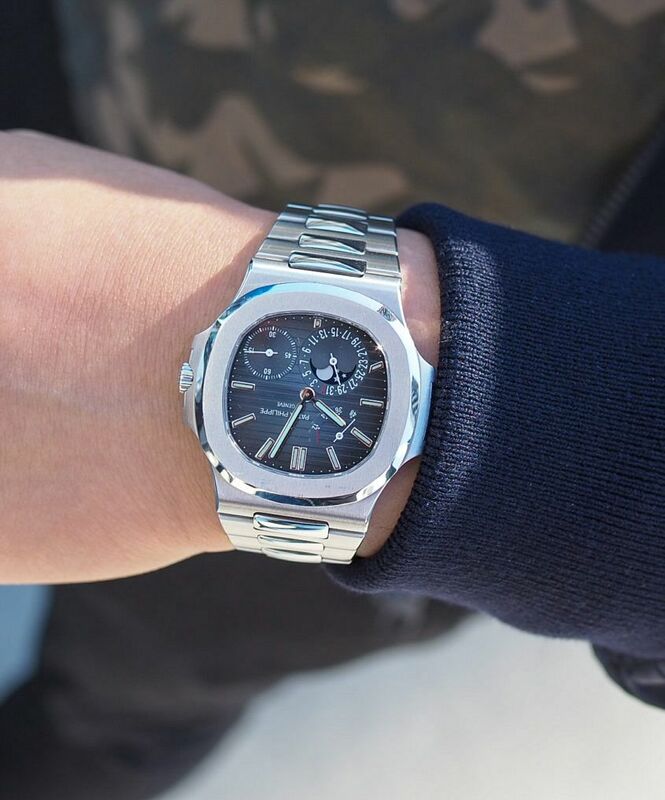 With the astronomical hype around steel sports watches at the moment, the (in fact, any) Patek Philippe Nautilus falls right into the category of basically unobtainable. Rarity aside, this Patek Philippe Nautilus (reference 5712/1A) certainly is one of my favourites from the brand, after the Aquanaut. Again, the owner of this piece wears it daily, undeterred by the occasional bezel scuff or bracelet scratch — the way it should be! Ming’s Audemars Piguet Royal Oak Chronograph. There’s never any mistaking the iconic Audemars Piguet Royal Oak, or any pieces from the wider collection. As I spotted the glorious light reflecting off Ming’s wrist, on a sunshine-filled Sunday morning, I was sure to pinch it off him. 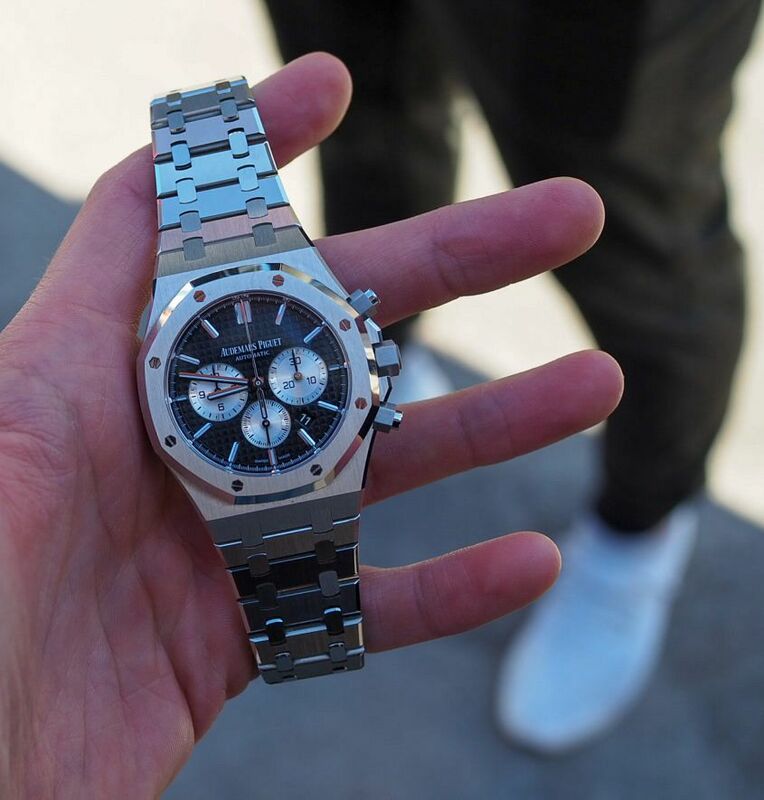 Ming recently picked up his Royal Oak Chronograph locally, after pining after it for some time. He’s been enjoying the larger 41mm case size — which he’s taken to very quickly. 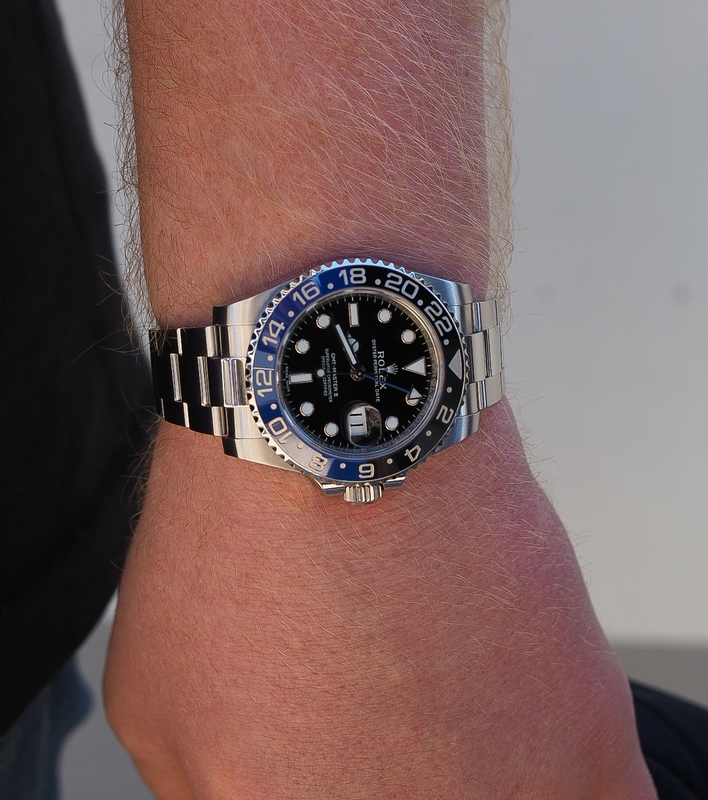 MB’s Rolex GMT-Master II ‘Batman’. Perth collector MB (@PaneraiAdventures) was in town to collect something special, and decided a GMT was the appropriate travel watch. Unfortunately, MB hadn’t picked up his latest acquisition when I bumped into him … which you can check out for yourself, here. Oh, and you guessed it — it’s a Panerai! Wrapping up this month of spotting is my favourite by a mile — mainly because we share a birth year, and I’m going through a huge ‘should I buy a gold watch’ phase right now. 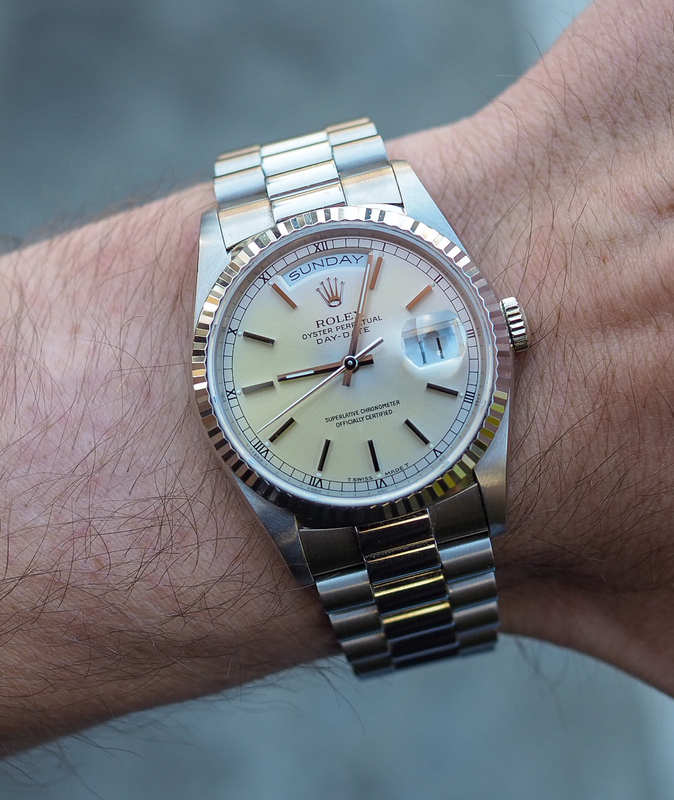 Perhaps I should take my own advice here, but either way this 27-year-old vintage Rolex Day-Date in white gold really took my breath away. Its owner, Dane, had recently purchased this piece out of Japan, after being taken aback by the beautifully patina’d dial. That’s it until next month — cheers!